If you haven’t heard the rumors (or seen the set pics), it might have come as a bit of a shock to hear Chris Pine confirm the historical setting of the Wonder Woman movie to be World War I. “WWI?” you asked. “Surely that’s a typo for World War II?” The answer is no, but this is actually a good thing. Sure, it’s incredibly strange to think that the movie will be debuting Wonder Woman earlier than her actual comics did—she first appeared in All Star Comics in 1941—and if you’re not much of a history buff, substituting one World War for another can sound like a needlessly superficial alteration, a change just to be different. But it actually gives me hope that director Patty Jenkins has a great plan for the Amazonian Princess. World War II is often referred to unironically as a “good” war. Not that war itself is fun of course, but the Nazis were so unequivocally evil, they had to be stopped. The Allies were fighting actual villains, making them the heroes of the conflict. There was a reason why it was so easy to write about superheroes joining the fight—they fit so naturally into the narrative. Obviously, whether WW2 really was “good” is highly debatable, but what’s undeniable is that no other war in modern history has managed to seem so transparently heroic—especially not World War I. WW1 was born out of colonial expansion and greed and intolerance. It was about land and revenge and hate. Between the trenches, the mustard gas, and the utter lack of defenses, it was unbelievably brutal, especially for those men who suffered and died purely over a few feet of land, sent by other men who never concerned themselves with their suffering. And when Wonder Woman leaves Themyscira for the first time, this is the world she will see. She will see war at its most brutal, and men at their most cruel and callous. Everything her mother, Queen Hippolyta, will have warned her about the dangers of men and the world outside Themyscira will be true, to the most horrific degree possible. See, if Wonder Woman entered the world during World War II, she would see a villain who needed to be stopped, and instantly join in the battle. It would be a noble fight, one that she would enter willingly and instantly, no emotional conflict necessary. But now, when WW discovers WWI, there won’t be one person at fault, it will be men in general. And even though Wonder Woman is a warrior, the war she sees won’t be a noble struggle; it will be a nightmare of horrors designed to inflict pain and death on others. 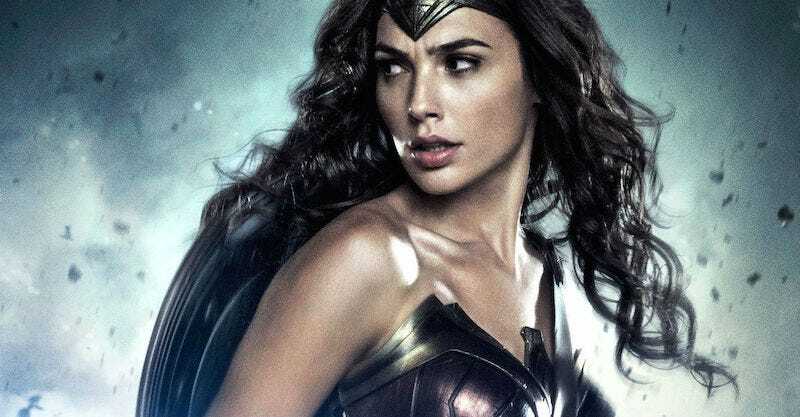 By choosing World War I as her new “origin,” if you will, the Wonder Woman movie looks like it’s making a bold claim about who the DC movie universe’s Wonder Woman is going to be—and especially what she fights against. The best reason to do that is to make the contrast between the story’s main character and its setting. This Wonder Woman won’t be a merciless killer, as she’s (still) sometimes portrayed in the comics; if she was, there’d be no narrative advantage in changing her origin from World War II. It stands to reason that the movie will instead star a Wonder Woman who loves peace—and one who is willing to fight to achieve it. Furthermore, the movie is giving Wonder Woman a setting where men have screwed everything up. I don’t expect Wonder Woman to save the world singlehandedly, but this also strongly implies that if the problem is caused by men, she’s not going to need a man to help fix things. Oh, she may need assistance, but she won’t need to rely on anyone’s masculinity. This is a Wonder Woman I want to see on screen. Badly. I may be a bit optimistic here. I suppose, given that the movie will still be in Zack Snyder’s DC movie-verse, than Wonder Woman will see the trenches of World War I and merely be excited to get in on the butchery. But again, I feel like if that’s what Jenkins was going for, the director would have stayed with World War II. Instead, she’s making sure Wonder Woman sees men and war at their worst. Why do that, unless Wonder Woman can save the day?